Jerzy Maksymiuk was born in Grodno. He holds diplomas in piano (Jerzy Lefeld’s class) composition (Piotr Perkowski’s class) and conducting (Bogusław Madey’s class) from the Warsaw Conservatory. In 1961 he won the first prize in the National Ignacy Jan Paderewski Piano Competition in Bydgoszcz. Conducting, however, soon became his principal career. 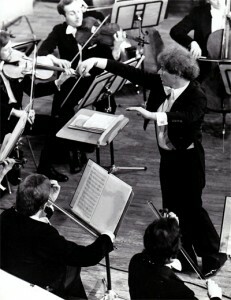 Jerzy Maksymiuk has always promoted contemporary music. 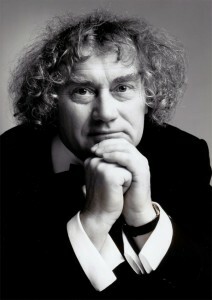 He is one of the founders of the Polish Contemporary Music Society. He took part in a number of Warsaw Autumn festivals (two Orpheus awards) and conducted over 200 premiere performances of contemporary pieces across the globe. To mark his achievements the Strathclyde University in Glasgow awarded him with the Honorary Degree of Doctor of Letters. He was also presented with the prestigious Gold Medal from the Elgar Society for promoting Edward Elgar’s music worldwide. Jerzy Maksymiuk is also a composer of symphonic music, chamber and ballet pieces, songs and film scores. “Expront” (1980) is his favourite piece among older works. as far as film music is concerned he is particularly pleased with his score “Sanatorium Under the Sign of the Hourglass” directed by Wojciech Has. 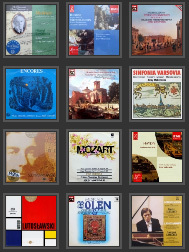 The last few years were very fruitful for Mr Maksymiuk as composer. His recent works include ”A Lonely Star over Be’er Sheva” (2010) for quintet, “Vivaldi in Boston” for srring orchestra and string quartet (2010) “Leaves Somewhere Falling” for chamber orchestra and piano (2011),”Heart Lamentation, Kielce In Memoriam” for orchestra, clarinet and soprano (2012) . His 85-minute score for the silent film “Mania” starring Pola Negri was performed live in 2012 during cinema shows in London, Madrid, Paris, Kiev, Berlin and Warsaw. Maestro Maksymiuk has received a number of medals, including Commander’s Cross of the Order of Merit of the Republic of Poland and the Gloria Artis Gold Medal. The Polish Radio awarded him with the Diamond Baton. He also won Superwiktor, a lifetime achievement award for outstanding television personalities. Mr Maksymiuk is the Honorary Citizen of Białystok. In 1972 he formed the Polish Chamber Orchestra (PCO), which was soon acclaimed by several critics as one of the best orchestras in the world. Under his baton, the PCO toured all over the world, including such prestigious venues as the Carnegie Hall, London Proms and Wiener Verein. A contract signed with the record company EMI turned out to be a major success as well. 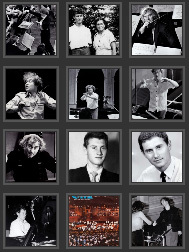 In 1975 Jerzy Maksymiuk took up the post of the Principal Conductor of the Polish National Radio Orchestra, WOSPR, with which he toured in Europe (twice) and the United States. From 1983 to 1993 he was the Chief Conductor of the BBC Scottish Symphony Orchestra, with which he performed at the famous Promenade Concerts in London and made a number of overseas tours. To mark his achievements, the BBC SSO awarded him with the honorary title of Conductor Laureate in 1993. In 1990 Jerzy Maksymiuk started his cooperation with the English National Opera, where he conducted premiere performances of “Don Giovanni” and “Die Fledermaus” (“The Bat”). 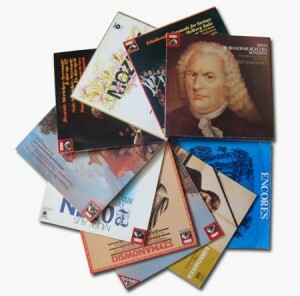 He made about 100 recordings for such labels as EMI (13), Hyperion and Naxos, winning a number of prestigious awards, including Wiener Floeten Uhr for his Mozart recording with the PCO (1982), Gramophone Award – the Best Concerto of the Year (1992) for James MacMillan’s “The Confession of Isobel Gowdie” and Hyperion in 1995 for Medtner’s piano concertos (with Nikolai Demidenko as soloist). The Wellington Hotel in New York City, at the beginning of his career. Mr Maksymiuk goes up in an elevator operated by a black man. He tries to start conversation, as he is used to, obviously in English. The black man does not reply. Mr Maksymiuk carries on. Finally, the black man gets a bit impatient, waves his hand and says: „I don’t speak French”. Another linguistic qui pro quo occurred when an EMI executive came to Warsaw to possibly offer Mr Maksymiuk a contract. As Mr Maksymiuk was only beginning to learn English, someone told him that after a meeting he should say “Nice to meet you”. But the phrase that he actually used was… “Nice to eat you”. Mr Maksymiuk receives congratulations in his dressing-room after a concert. Half-undressed, his shirt wet after an energetic performance, a towel on his shoulders, and suddenly he shouts at journalists: “You want a scoop? Here it is: shoes disappear in this philharmonic, I cannot find my shoes!” After a pause for thought: “I may have left them at home…”. It turned out that the shoes were hidden under a shirt on a hanger. By the way, he was conducting that concert wearing shoes borrowed from one of his musicians.